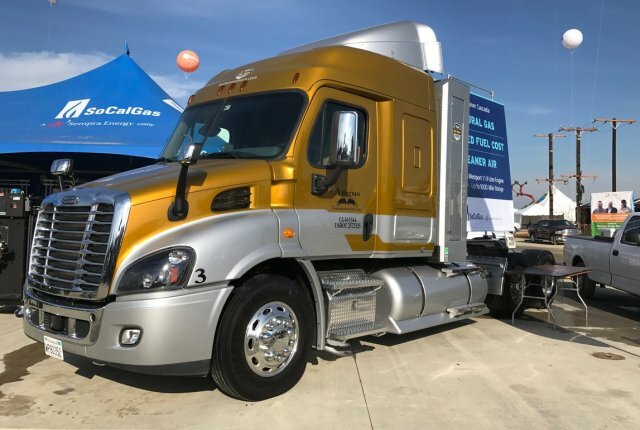 Southern California Gas Co. (SoCalGas) will exhibit natural gas technologies at the 50th Annual World Agricultural (Ag) Expo, Feb. 14-16, at the International Agri-Center in Tulare, California. Also known as “The Farm Show,” the three-day event is the largest of its kind—and SoCalGas is one of its original participants. SoCalGas’ booth will feature: information on how repowering irrigation wells from diesel or electric to natural gas can reduce pumping costs by more than half; a live renewable natural gas demonstration showing how dairy waste can be converted into usable energy; a long-haul semi-truck equipped with Cummins-Westport’s new 400 HP 11.9-liter engine shown to reduce harmful emissions by 90%; and information about how on-site distributed generation can use agricultural waste or excess heat to replace power from the electric utility. An increasing number of area growers have been repowering their irrigation wells from diesel to natural gas. The savings are significant and some growers have already realized one-year paybacks on their engine purchases. And, at roughly half the cost, natural gas is still a cost-effective alternative to using electricity for irrigation. As the need for groundwater pumping increased during California’s historic drought, SoCalGas partnered with area farmers by installing dozens of new services and meters to serve irrigation wells. Natural gas is the lowest-cost energy alternative for water pumping over the past decade and more cost effective than electricity and diesel. For instance, to power a150-horsepower irrigation well, at current market prices, the hourly costs are: $20.40 for an electric motor; $18.45 for a diesel engine; and $8.63 for a natural gas engine.